One of the most important abilities in freediving – for yours and your buddy’s safety and peace of mind – is proper communication while underwater. It is a skill that often gets ignored or oversimplified, which can lead to confusion and mistakes that can prove to be very dangerous. The buddy system, with its correct communication techniques, is designed to ensure freedivers know where their partner is at all times, and what the dive plan and breath hold is. Safety is paramount. Listening to your freediving buddy is the first and most important step in learning how to communicate effectively. Patience is key – just as in everyday life when, during a conversation, you are merely waiting for the other person to pause so you can talk instead, below the surface can often be the same and you can miss what your buddy is trying to say to you. Ego and human psychology also play huge parts in freediving – for example your dive buddy might be all smiles and talking confidently, but he or she might be panicking quietly and not want you to know. You really need to listen, to take notice, and properly observe your partner, because when you fully focus on your buddy you can usually tell how they are really feeling, even if they are saying something different. 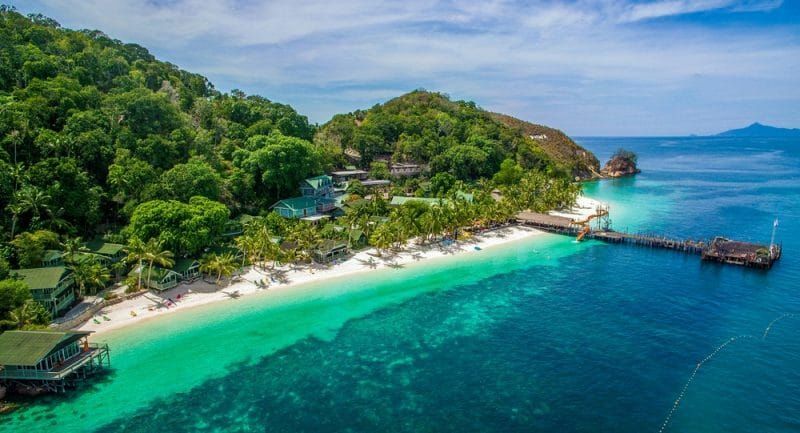 Any and all communication with your buddy must be unambiguous and absolutely crystal clear – their confidence in you is of paramount importance so that they can relax and be reassured that they will be in safe hands throughout the dive. If you partner is new to you, do not be complacent and think that they will be used to or expecting your methods. Explain beforehand what you are going to do and make sure you understand each other. As an example, during freediving competitions the buddy is not allowed to touch the freediver as they ascend to the surface. However during Go Freediving exercises we practise safety methods and one is where the buddy assists the diver at the surface post-dive or after breath hold. As the freediver holds the poolside or buoy, the buddy will place a hand beneath the diver’s upper arm or armpit and advise them to breathe while using their name. This is taught for reassurance and because if the diver blacks out or has some kind of hypoxic fit once at the surface, the buddy will be there holding them to ensure the diver’s airways do not become submerged. This subtle difference will need to be explained to the diver pre-dive. There should be absolutely no confusion during a dive, so take your time before you enter the water to go through everything you need to with your buddy. Explain the dive itself, the breath hold and ask what the diver expects the buddy to do. The diver should give clear, concise instructions and the buddy should repeat them back to the diver so both go into the water knowing they are on the same page. What position does the diver want or where do they want to be held prior to the breath hold? Is a countdown or any type of preparation wanted? During the breath hold, how does the diver want to be held? If taps are going to be given, when and how? Some divers require verbal coaching as support. If so, what do they want to be told? Verbal communication should be loud and clear, taps firm and equally clear. What position does the diver want or where do they want to be held prior to the swim? Is a marker required on the bottom of the pool/seabed? If so, at what distance? Does the diver require any sound, at a precise distance, while submerged (e.g. tapping the pool steps with a hard object)? Post-dive, what surfacing support is required? For example, a buoy or float at the pool’s surface or assistance to reach the side of the swimming pool? At depth, is non-verbal communication requested by the diver when the buddy meets them? It is imperative that the diver sticks to the dive plan at all times. A buddy will have planned their dive to perfectly complement the diver’s, so it is hugely important that the diver does not deviate by, for example, descending even deeper or staying submerged for longer than agreed. There is not a major issue if it is a static or dynamic as the buddy will be able to breathe, but nonetheless confusion should be kept to a minimum during all dives. During a pool session, if the diver decides to aim for a personal best it should be mentioned and acknowledged during the dive plan before anybody enters the water. 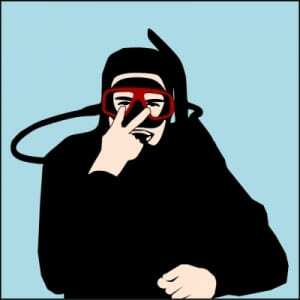 The hand signals used to communicate while submerged have been developed and honed by scuba divers over many years. Due to the nature of freediving, where equipment and the dive profile are frequently very different to scuba, freedivers and their buddies use traditional hand signals – as seen in the video above – but we also use a further unique set of signals to communicate too. As in everyday life, the more time you spend around people above and below the water while freediving, the more adept you become at noticing subtle hints and signs from their body language. This is ideal for improving safety and communication skills. Reassurance is everything, so if a freediver knows their buddy can be relied upon completely during a dive, particularly if it is one to a great depth or for a long time period, then they will relax more. Only by practising the art of non-verbal communication can you gain the experience and awareness that brings about safer and infinitely more enjoyable freediving. Next Next post: Now is the time to plan your holiday in Mexico!